Living Room There are 2429 products. Boho chic style can make a space casually cool and so inviting. 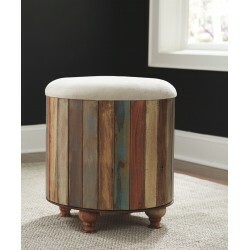 No wonder we love this adorable upholstered accent stool so much. Its abstract fabric and subtle patchwork patterning are pure artistry. Canted legs in a natural finish strike a pose. This fashion-forward accent chair adds a cool vibe to your home. Armless design is perfect for small spaces that need a spark of color. Bright green hue with distressed finish saturates the ultra soft fabric. Supportive cushions bring in an element of comfort. 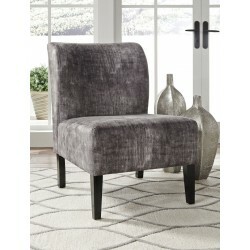 This fashion-forward accent chair adds a cool vibe to your home. Armless design is perfect for small spaces that need a spark of color. Denim blue hue with distressed finish saturates the ultra soft fabric. Supportive cushions bring in an element of comfort. This ottoman's long length allows you to stretch its possibilities. Flank a sofa and enjoy kicking up your heels in sophisticated style. Or give that entryway a long-awaited finishing touch. 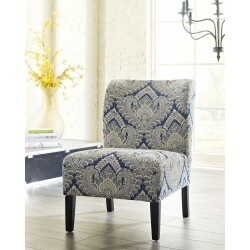 This trendy accent chair adds a fun vibe to your home. Armless design is perfect for small spaces that need a spark of excitement. Contemporary pattern in shades of green, blue and gray covers the soft fabric. Supportive cushions bring in an element of comfort. This accent chair adds a fun vibe to your home. Armless design is perfect for small spaces that need a spark of excitement. Watercolor pattern in shades of plum and charcoal covers the soft fabric. Supportive cushions bring in an element of comfort. This accent chair transforms your space without a total design overhaul. Enticing polka dot pattern in cream and stone gray adds a splash of color to your home. High-leg design is ultra fashion-forward and sturdy. Tufted back with button trio supports you in comfort. 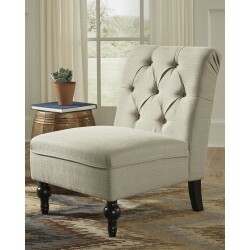 With its sense of softness and subtlety, this accent chair can slip right into just about any scene. Billowy and beautiful, the multi-tonal upholstery pattern is wonderfully easy on the eyes. Fresh twist on style. 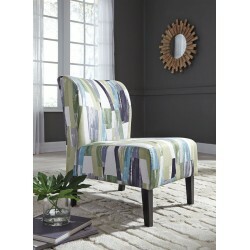 Breathe new life into your space with this delightfully vibrant accent chair. Abstract medallion pattern charms with a touch of whimsy and ever-so-subtle Bohemian-chic flair. Make some waves. While it brings movement and energy into your space, the dynamic pattern on this upholstered accent chair is tastefully tempered with soft and subtle hues of gray, yellow-green and white. This accent chair transforms your space without a total design overhaul. Enticing polka dot pattern in cream and orange adds a splash of color to your home. High-leg design is ultra fashion-forward and sturdy. Tufted back with button trio supports you in comfort.